Sugar is everywhere these days. In the obvious things, like cookies and donuts, and in the not-so obvious things, like bacon and marinara sauce. When you eat too much sugar (which is so easy to do when you eat more packaged foods), it can send your blood sugar on a crazy rollercoaster. Your energy can spike, then crash suddenly, leaving you tired, cranky, hungry, or jittery all day. 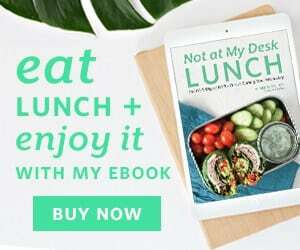 Eating minimally processed foods, mostly produce and sugar-free proteins can really help balance out your blood sugar and energy. It seems pretty easy to do for most meals, with the exception of breakfast. Ever since cereal became big over a century ago, breakfast has been reigned by sugar. Breakfast muffins, waffles, pancakes, toaster strudel, jam, orange juice, fruit bowls, sweetened yogurt, oatmeal, parfaits, fruit smoothies, sweet breakfast sausages… the list is endless. So if you’re looking to break up with sugar and you’re still not sure how to bring that into breakfast, switch over to the savory side. Ditch the sweet with some dinner leftovers, unsweetened sausage or bacon, maybe even a salad! 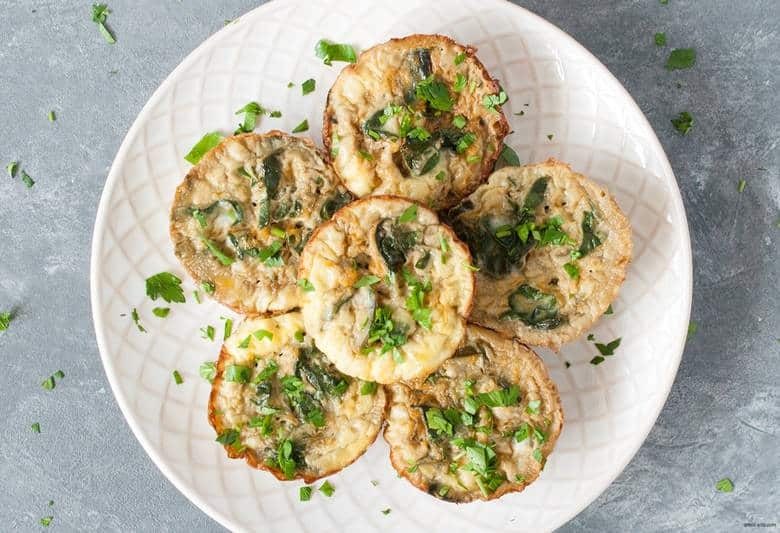 If you need a breakfast recipe that will keep you set for the week, these Swiss Chard Egg Muffins will do the trick. Don’t let the muffin in the name fool you, there is nothing sweet in these muffins. 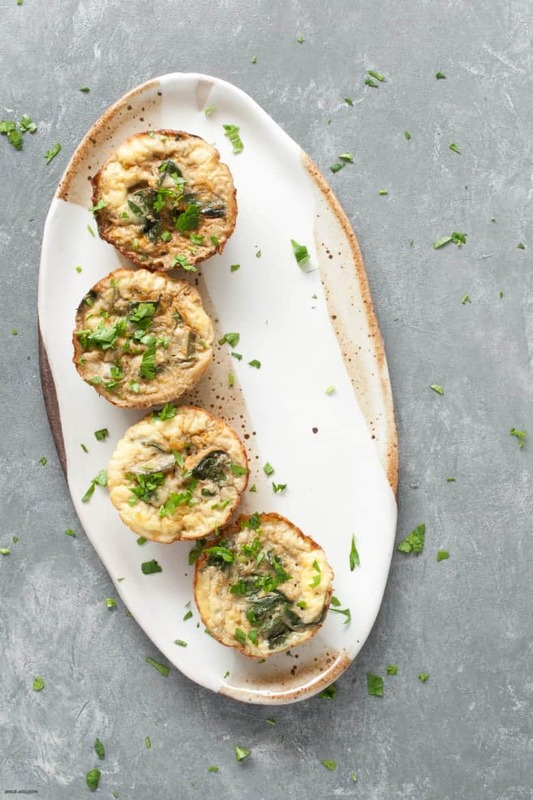 Packed with bell pepper and swiss chard, these egg muffins work for vegetarians and meat eaters alike. 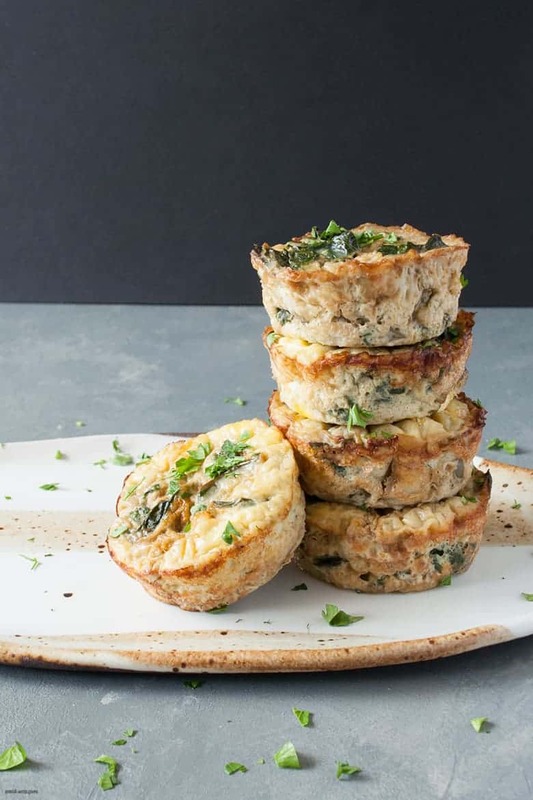 You can also add meat into the egg muffins as well, or have these Swiss Chard Egg Muffins with your sausage, bacon, or other meat. The recipe makes 12, which leaves plenty for you, or you and your partner for most of the week. As always, feel free to customize these to your own tastes or what you have on hand. Have kale instead? Perfect! Don’t have bell peppers, but have leeks, onions or shallots? Use that! Want to add in some sausage? Go for it. Do you enjoy savory breakfasts? What’s your favorite breakfast food? Preheat oven to 350. Rub the cups of your muffin tin with the fat of your choice (olive oil, butter or ghee). On your cutting board, fold a chard leaf in a half lengthwise. Carefully cut the stem off of the leaves and put into one bowl and put the now two leaves into another. Repeat with all of your leaves. Once complete, assemble small stacks of leaves on the cutting board and cut the leaves in half lengthwise. If you have smaller chard leaves, skip this step. Cut the leaves in half-inch strips width wise. Repeat with remaining leaves. Go through your chard stems and discard any broken or overly damaged stems. I usually keep 6-8 stems to use in my recipes. Cut off and discard the top, narrow parts of the stem and rough edges at the bottom, about a quarter to half-inch in. Chop chard stems and place back in bowl. Heat 1-2 teaspoons of your cooking fat in a sauté pan to medium heat. Once hot, add garlic, chard stems, and bell peppers and cook until soft, about 5-7 minutes. Add chard leaves and cook until wilted down, about 5 minutes. Add salt, paprika, and cumin. In a medium mixing bowl, whisk together the eggs and milk. With a small ladle or ice cream scoop, add a small layer of the egg mixture into the oiled muffin tin. Then spoon or scoop the swiss chard mixture and add the rest of the egg mixture to each cup. Bake for 25-30 minutes, until golden brown. Once done, allow to cool. Run a small spatula or knife around the edge to release it from the tin.